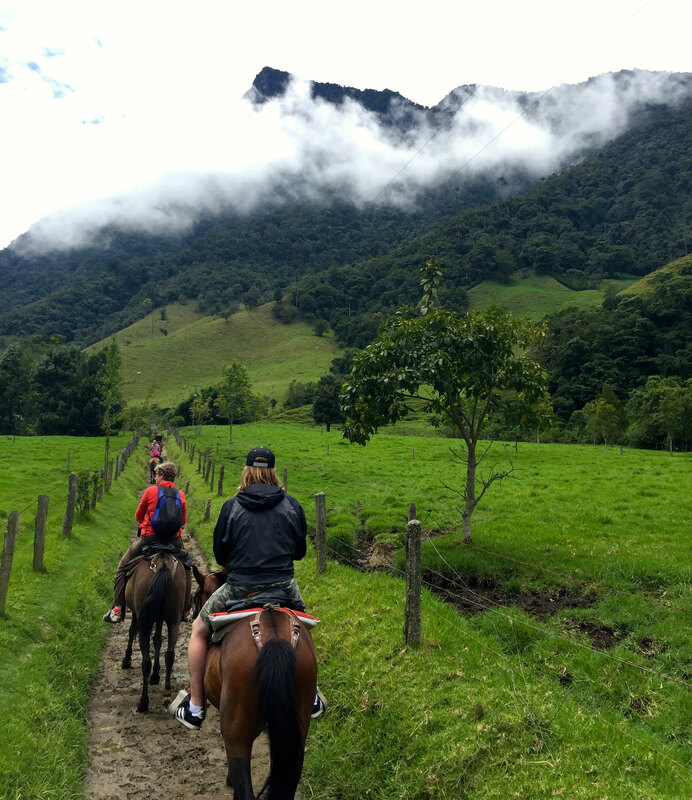 As far as South American travel goes, Colombia is one of the roads less traveled. It still features on many ‘Don’t Travel’ lists and is perceived as dangerous, due to its history of violence and drug trafficking. 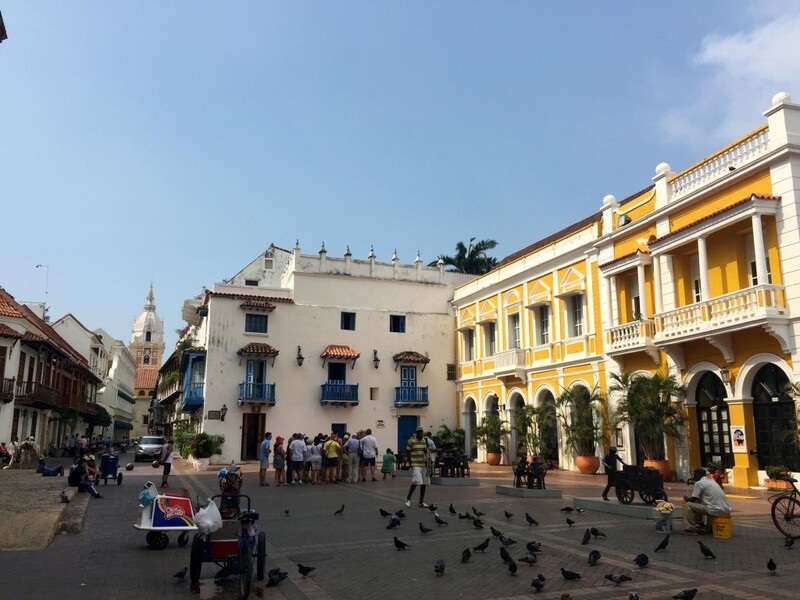 But with a drastic and continued reduction in violence over the last decade and its government dedicating real money towards tourism and safety, Colombia has had a remarkable transformation and is emerging as an exciting and wonderfully under-commercialised travel destination. What we discovered was a beautiful and diverse country, full of friendly and welcoming people. And even better? Less tourists! We fly fro m Lima to Bogota and arrive in the late afternoon. 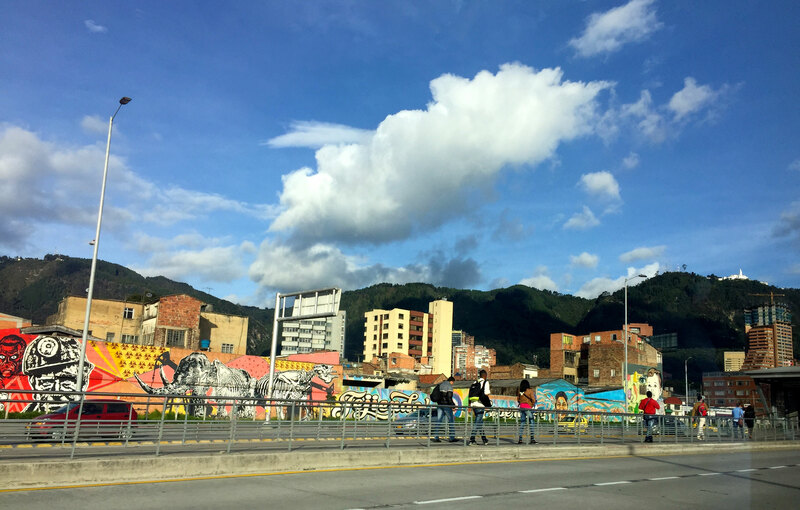 The transfer from the airport to our hotel reveals a city surrounded by Andean mountains and full of impressive street art. 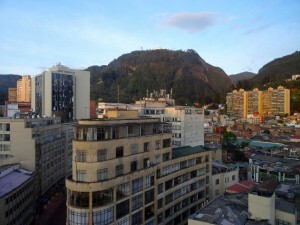 Our room offers a fabulous view of Monserrate mountain, looming over the city centre. We go for dinner around the corner and although the hotel staff recommends caution and leaving valuables behind, we don’t feel unsafe; the streets and bars are busy and music can be heard from several ‘rock’ bars. After dinner we try some delicious craft beers in a packed corner pub and the locals are friendly and hospitable. I wish we had more time here but alas we are leaving early in the morning. 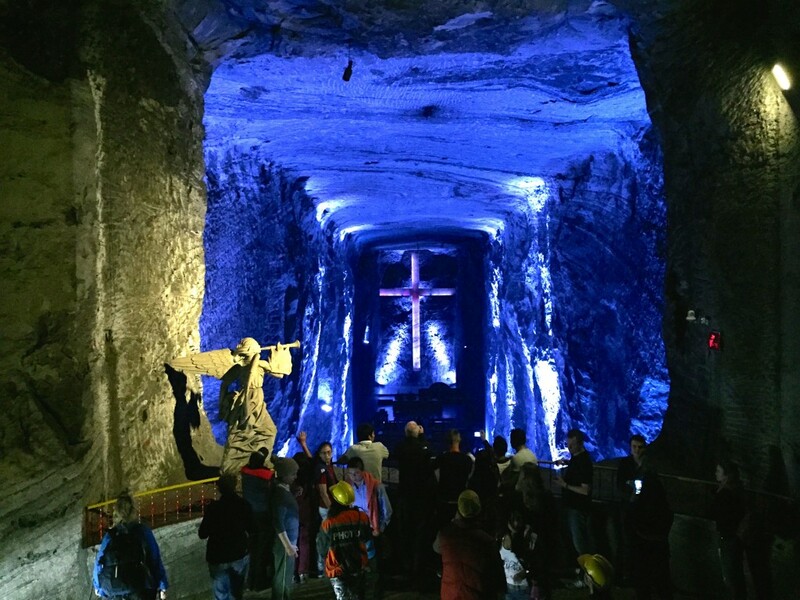 The next day we drive to Catedral de Sal (the Salt Cathedral) in Cundinamarca. 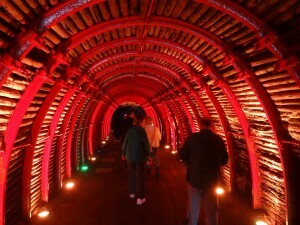 This undergroun d cathedral was built within the tunnels of a salt mine and is absolutely mind-boggling. 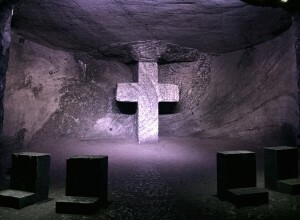 We follow a strobe-lit tunnel down and once we enter the dark cathedral, we are at a small chapel representing the first Station of th e Cross. We make our way through the fourteen stations, which are stark affairs; simple crosses backlit by soft blues and purples. The effect is stirring and they are beautiful in their simple solemnity. The path takes us to a viewing balcony and below is the main altar, set in a large cavern. The guide tells us that weddings are held here regularly but since there aren’t any on today, we wander freely through the caverns and tunnels, marveling at the way the halite (rock salt) has been carved and the pretty marble-like patterns. 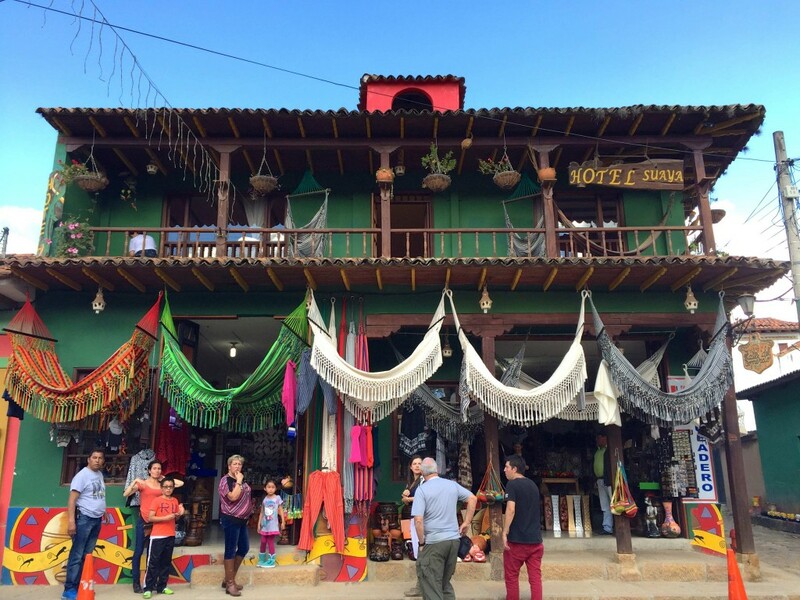 We travel to Ráquira for lunch, which has a charming town square and colourful main street lined with shops selling ceramics and bright hammocks. The town is known for these specialties and the hammocks are beautiful… if only I could fit a couple in my luggage! 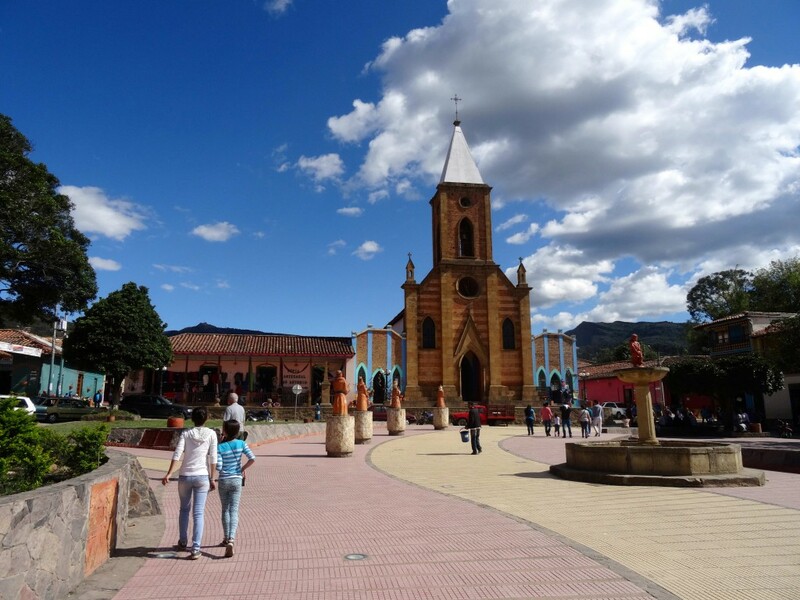 In the late afternoon we arrive in Villa de Leyva, a heritage town with the most stunning square I’ve ever seen. Cobblestone and white colonial buildings sit against a backdrop of imposing Andean mountains; the effect is breathtaking and the afternoon sun drapes the mountains in dappled light. We spend a blissful afternoon strolling the paved streets, followed by a cocktail in a pretty piazza as the sun goes down. The next day we fly to Armenia, Colombia’s coffee region, where we’ll be staying for two nights and taking a tour of a coffee farm. We arrive in the late afternoon and take a stroll between the banana and plantain farms surrounding our traditional hacienda. A jeep arrives the following morning to pick us up and the drive is loads of fun, the roads gradually narrowing and as we wind out way through the lush green plantations. 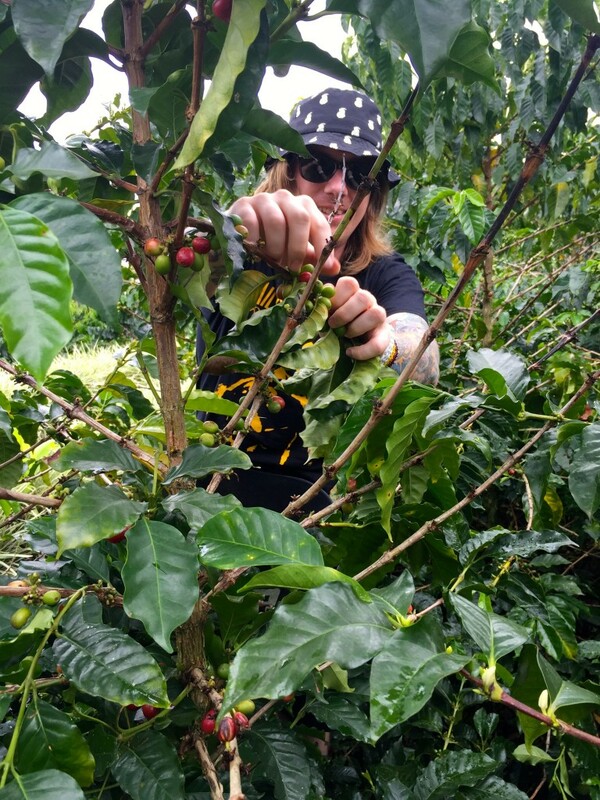 We get our hands dirty picking red coffee beans, learn about the harvesting process and then do a tasting, where we try to distinguish two high quality blends from six cups (four of which are low grade). First we taste and identify the additional ingredients that go into a brew (salt, sugar, bitters etc). Next we smell the six blends, then boiling water is added and we smell again, noting how much thewater has altered the scent. Finally the tasting – and unfortunately I get it wrong, selecting one of the lower grade blends as my favourite… whoops! Time to return to the hacienda for spa beers. In the morning we take a gentle horse-ride through the Cocora Valley, surrounded by mountains and cloud forest. It’s a tranquil setting and my horse, Mono, is a beautiful caramel colour and mostly well behaved… Carlo, the Colombian horse whisperer, is always close by and keeps his charges in line with whistles and kissing sounds. We take a rocky trail into the forest, where we eventually disembark for a hike down to a waterfall. Then it’s back onto Mono for the return trip and lunch at a nearby restaurant. We spend the afternoon driving to Salento, where we have a fun night out at a local pub. Out the back are several Tejo pitches, which is a traditional Colombian game. 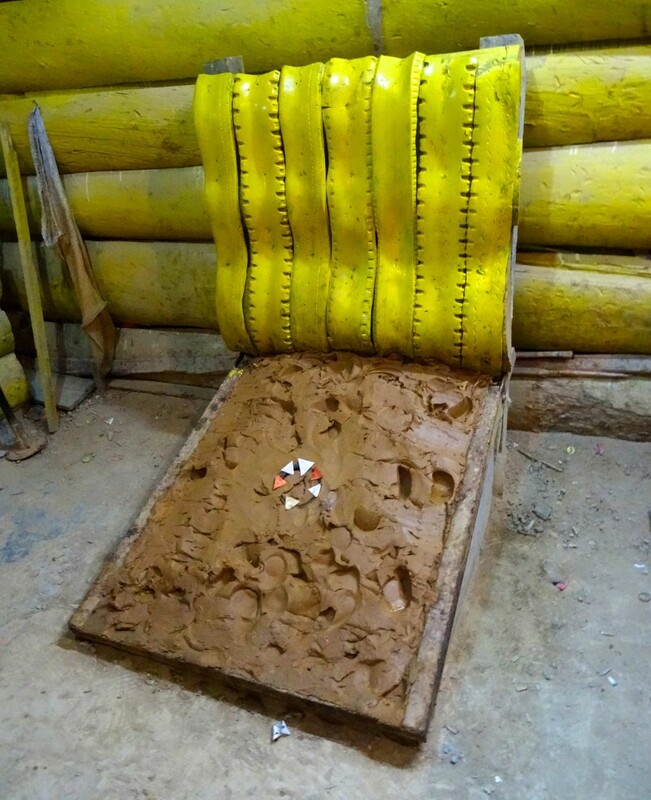 Players take it in turns to throw a heavy weight/puck (the ‘tejo’) into a clay bed where a metal ring sits, lined with gunpowder. The aim is to hit the ring and set the powder off (with a bang and smoke like a cap gun). We have great fun playing over a few beers… although as advised by the barman, we’re throwing from less than half the distance the locals play at! 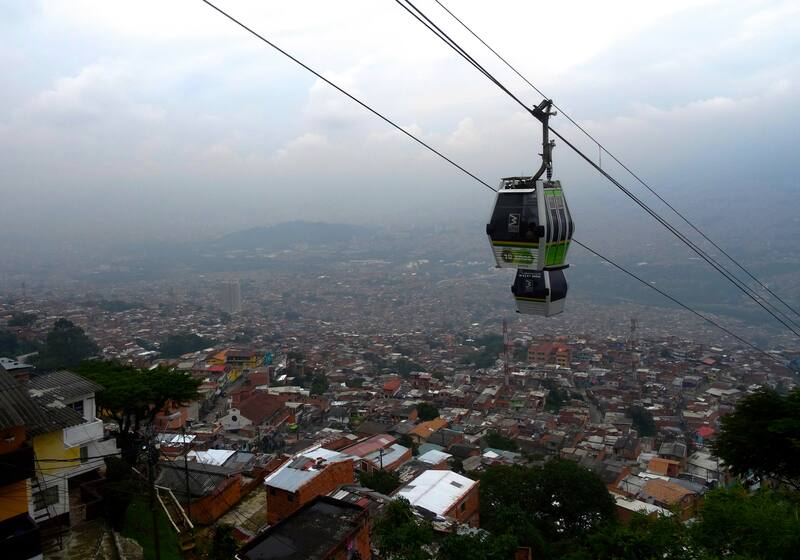 Medellin, the following day’s destination, is a cool city with a fascinating history. Once known as the most violent city in the world, due to the rise of Pablo Escobar’s drug cartel in the 1980s, it has had an incredible turnaround in recent years. 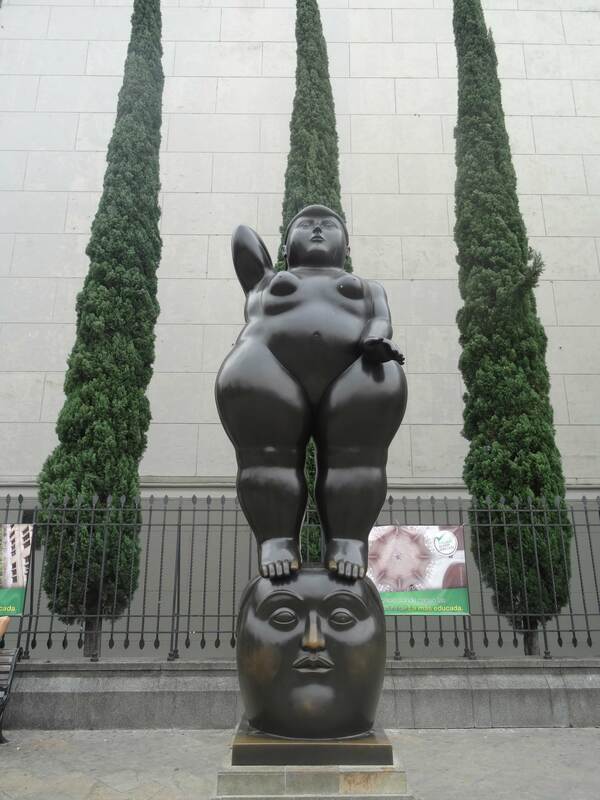 We visit Botero Plaza in the Old Quarter, named after famous Colombian artist Fernando Botero. 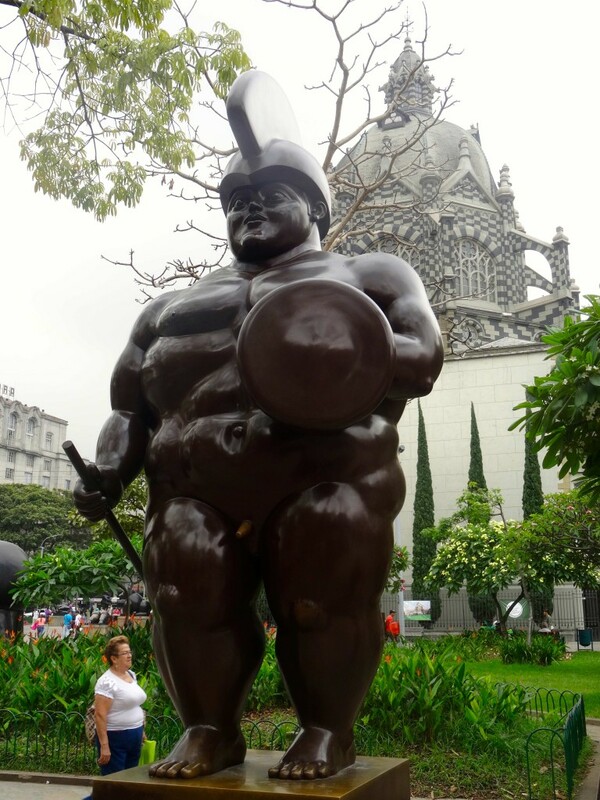 His sculptures, exaggerated takes on human and animal forms, are dotted around the park and border the striking black and white government buildings. Next we take the metro train (relatively new and in pristine condition; the city is incredibly proud of it) to the cable car, which transports us up to the neighbourhoods at the top of the city. Not many tourists come up here and we stick out like a sore thumb but the people are friendly and curious. The children are eager to speak to us and practice their English ‘hello’s, which they follow with fits of giggles. At a look out point over the vast, built up city, two local boys launch into a brief but charming history, alternating lines as they go. We finish off the day with a stroll through the university area, which is also home to a planetarium and pretty botanical gardens. 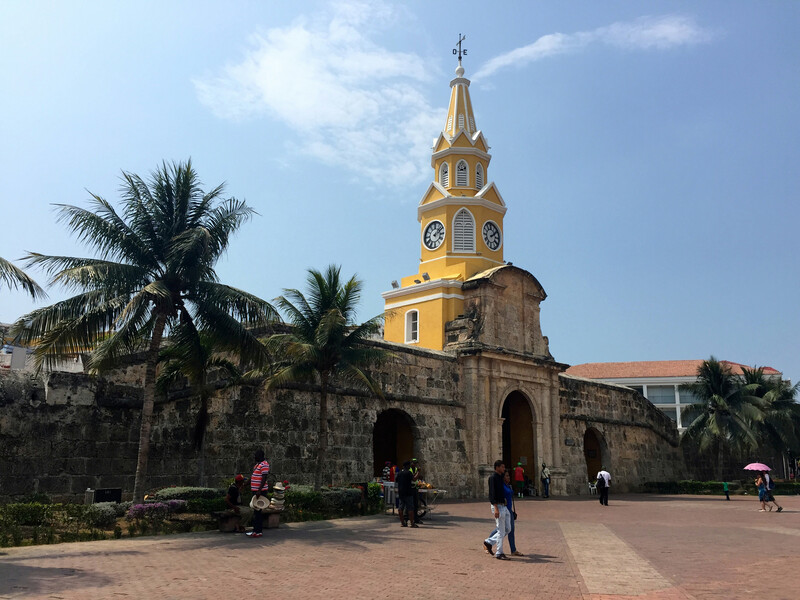 From Medellin we fly to Cartagena, a seaside city on the Caribbean coast, known for its picturesque ‘old town’, which is surrounded by a colonial stone wall. Arriving in old town feels like entering a time warp; it’s a maze of narrow, cobbled streets and brightly painted buildings. Cartagena is a popular port for cruise ships and thus bustles with tourists. It’s a vibrant and noisy place, full of street sellers, hustlers and retail stores and we’re approached by every single seller, including the charismatic hat men, wearing ten on their head at a time. Cartagena is hot, humid and sunny; after a sticky day exploring old town, we relax with a cocktail at a bar on top of the wall, watching the sun go down and the Colombian flag flirt with the breeze. Located in the outer town is the impressive Castillo San Felipe de Barajas – a huge fortress that we had loads of fun exploring the next day. From the very top to down in the cells and chambers, the place is a multi-level maze of secret passages and rooms, and it’s not difficult to imagine it in a battle scenario (or an awesome game of paintball!). It also provides amazing views of the city, flat and surrounded by water. 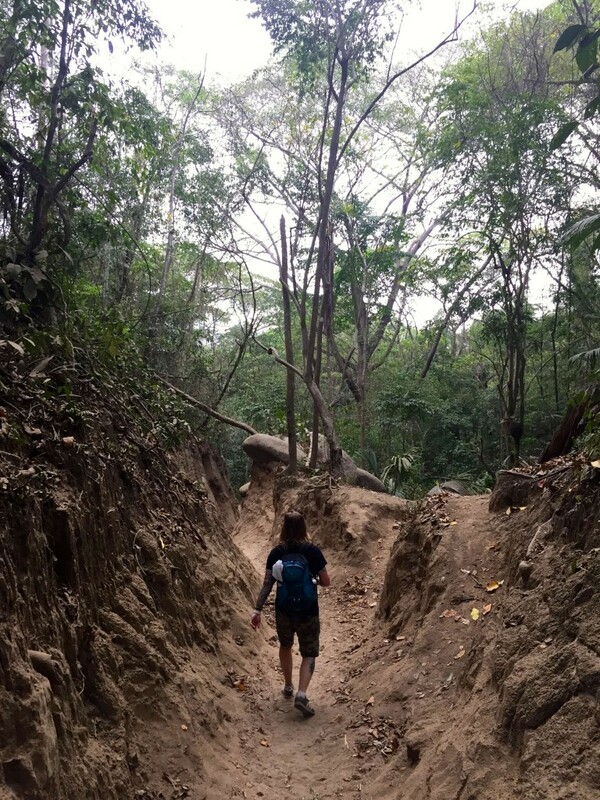 Our final destination is Tayrona National Park, also on the Caribbean coast – and getting there is an adventure in itself! After a four-hour drive to Santa Marta and a quick change from local bus to private transfer, we’re driven another hour and a half to the entrance of Tayrona. We’re dropped as far as the van is permitted; at a dusty horse station. Now we have a 45min walk through the bush to get to Arrecifes beach. For 17,000 Colombian Pesos (approx. $9 AUD) we hire a horse to take our big bags. The bags are put into sacks and we’re pointed in the direction of the trail. The path is well worn and we pass other walkers with varying accents – one of whom appears on a ridge above us and warns of a pack of horses bearing down on us! We quickly climb up off the path and sure enough, a porter and five or six horses appear, moving at substantial pace along the narrow trail. A tourist is sitting atop a horse so it would appear walking is optional (for a price). We enjoy the hike, although even in the shade of the forest it’s still very humid. The trail is not flat and thus challenging, but it’s scenic and peaceful and the effort heightens the anticipation of arrival. We make it to Arrecifes without our horse catching up, so we can only assume (and hope!) he’ll appear with our bags in due time. We’re shown to our bungalow and the sight of a large hammock on the porch makes me very happy. 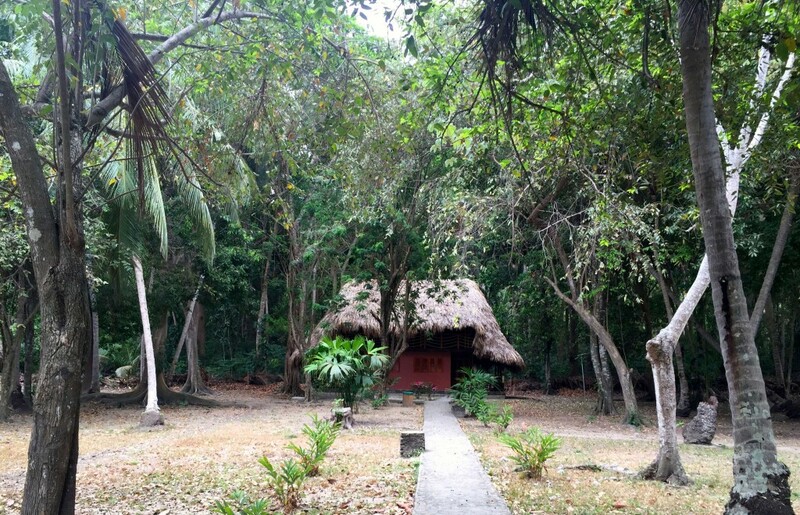 The spacious 2-storey hut promises a relaxing end to the trip (…and our bags do eventually arrive). We walk to the beach, passing a colourful juice bar and campsite for tents, and it’s quite a sight, surrounded by mountains, forest and towering palm trees. However the waves are formidable and warning signs indicate that it’s not safe for swimming, so we study our map and discover that further down the beach, disguised by huge rocks, is a safe little cove. The sun is setting so we head back to our bungalow, with plans for a morning swim. 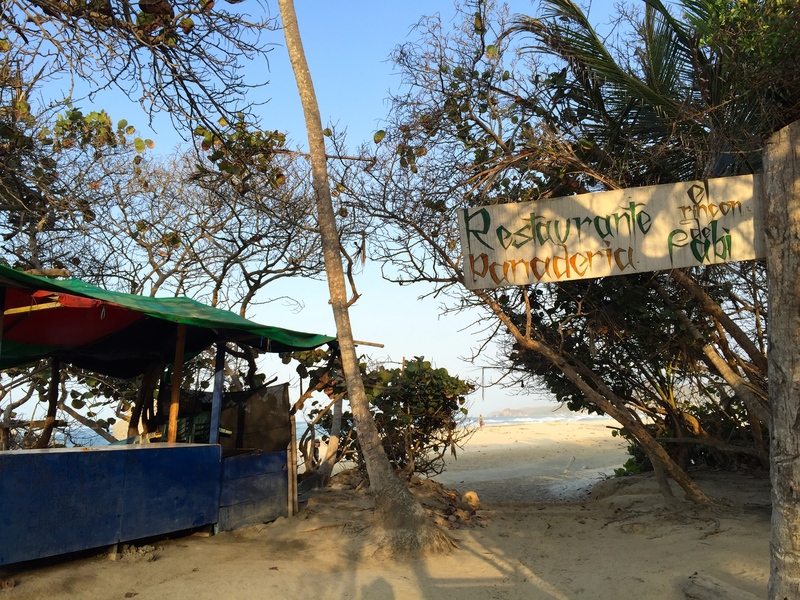 We enjoy a delicious dinner at the on-site restaurant (three courses, no less) and the next couple of days pass in a contented blur of sleep-ins, hammocks reading, good food, walks along the beach and swims in the cove, which has a bar and a couple of cute juice and ceviche stands. All too soon it’s time to book a horse, saddle up the backpacks and hike on out of there. 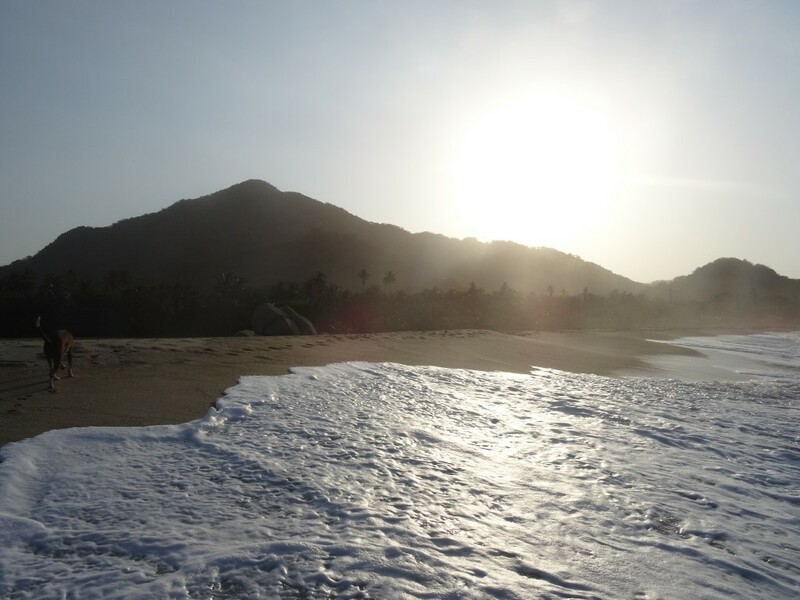 Tayrona National Park is stunningly beautiful, peaceful and remote; a perfect end to our Colombian adventure. We’re picked up by the van and driven to Santa Marta airport, where we fly back to Lima. Colombia is a fabulous country of diverse landscapes and charming people; it’s South America’s best-kept secret… go before everyone else catches on! Click for more information on Colombia tours and trips.